JOIN A SURF CAMP IN MOLIETS TO SURF DURING THE DAY AND CAMP ON THE BEACH IN MOLIETS IN THE SOUTH OF FRANCE. 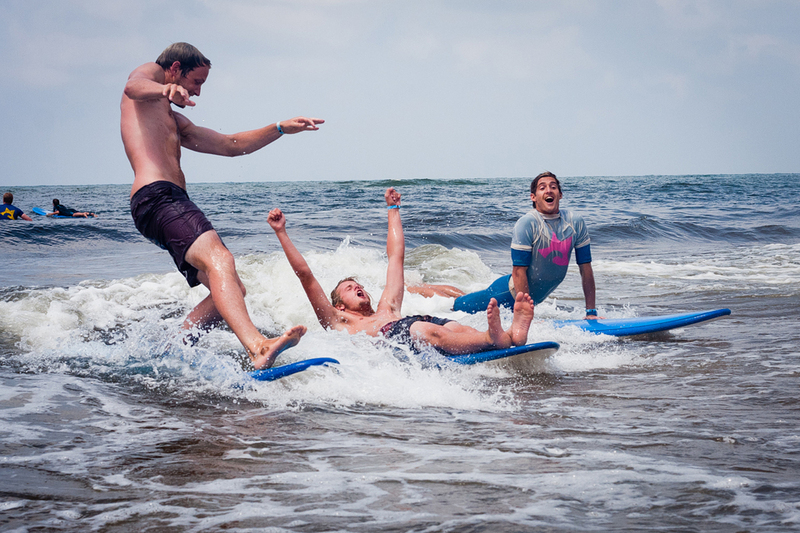 THE PERFECT SURF CAMP ENVIRONMENT TO LEARN WITH PROFESSIONAL INTERNATIONAL INSTRUCTORS AND IMPROVE YOUR SURFING WHILST HAVING PLENTY OF FUN. PERFECT WAVES, GOOD TIMES, GREAT PARTIES AND AN AMAZING ALL-ROUND SURFING EXPERIENCE FOR THOSE THAT WANT AS MUCH EXCITEMENT OUT OF THE WATER AS IN THE WATER. The surf camp in Moliets Plage is situated in the Bay of Biscay on the south west coast of France close to Hessegor, the Basque country and northern Spain where European surfing originated. 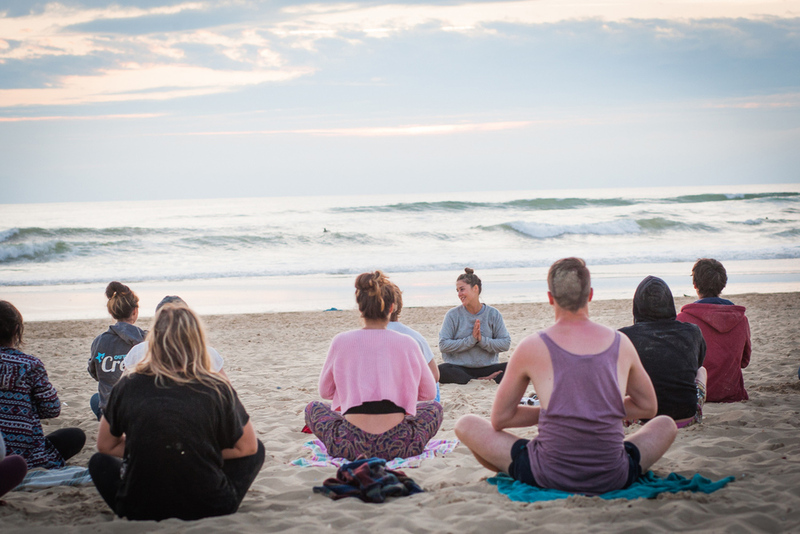 The world famous beach provides some of the best waves in the world complete with a sandy bottom making it ideal for a comfortable learning experience. You will enjoy surf lessons each day in small groups with instructors and will have free use of all equipment for surfing at your leisure. This experience comes with 10 or 15 hours of lessons where you can expect to gain an understanding of the ocean environment and safe surfing. These lessons aren’t only for beginners as they will help existing skills and improve your technique. If you are already a confident surfer and want to specifically improve your existing experience, then you can opt-in to the improver Deluxe Surf Course for an additional £45/week. For this you will get 15 hours of lessons. This course includes sessions that cover video analysis, surf theory, oceanography, surf equipment design along with extra sunrise and sunset surfs. You will be coached by the pro surfers using techniques they received in their international surfing careers to give you a more in-depth understanding of surfing theory and practice. 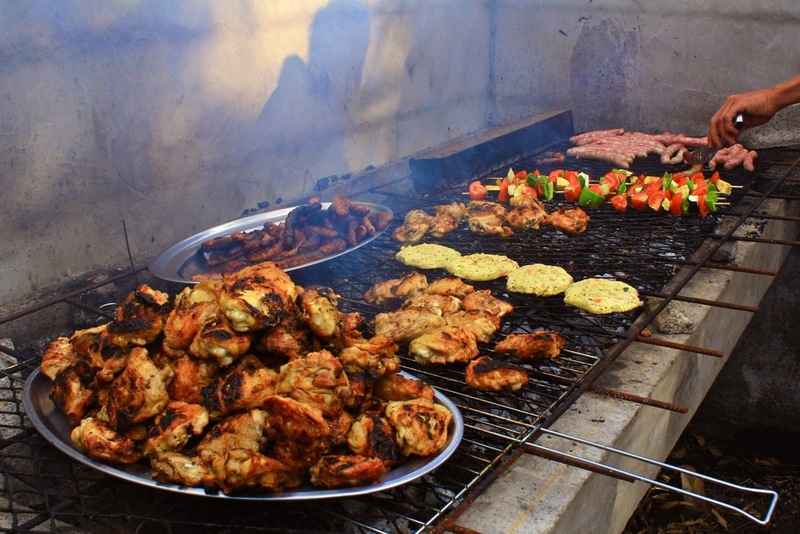 The large shaded eating area, a great chill area and the infamous party tent fosters the fun community vibe of the camp. Everything is included and all you need to bring is a sleeping bag, pillow, plate and cutlery! The camp is a short walk from bars and clubs for those that want to party into the early hours and the promenade has restaurants, shops and amusements. There is enough space at the campsite to use the bikes or sports equipment, play games, sunbathe or read a book and chill in the shade. Entertainment is often organised by the on camp team to make sure you have an exciting and enjoyable stay leaving with great memories and many new friends. Each week you can choose to follow a group to San Sebastian in the Basque country of Spain for a day of sightseeing, tapas and a few drinks, finishing the evening with a bar crawl and crazy party before getting the bus back in the early hours of the morning. This is one of the highlights for anyone visiting Moliet and is highly recommended. 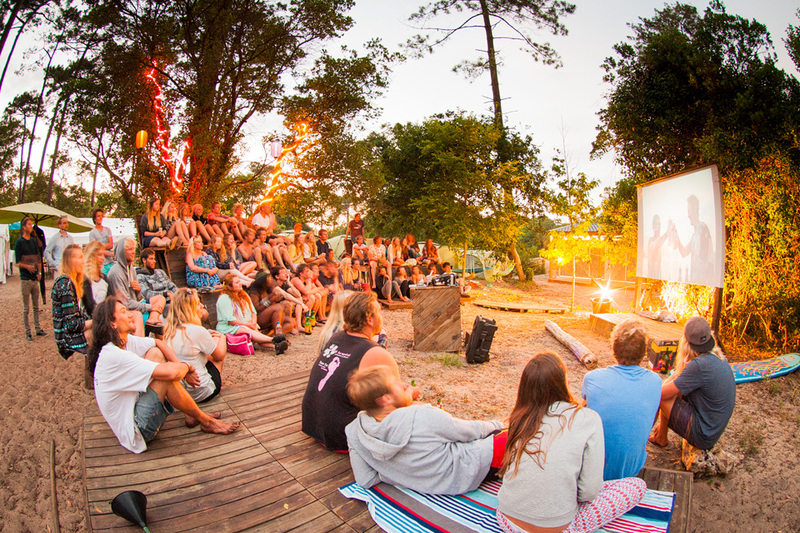 Want a more relaxing & chilled surf camp? 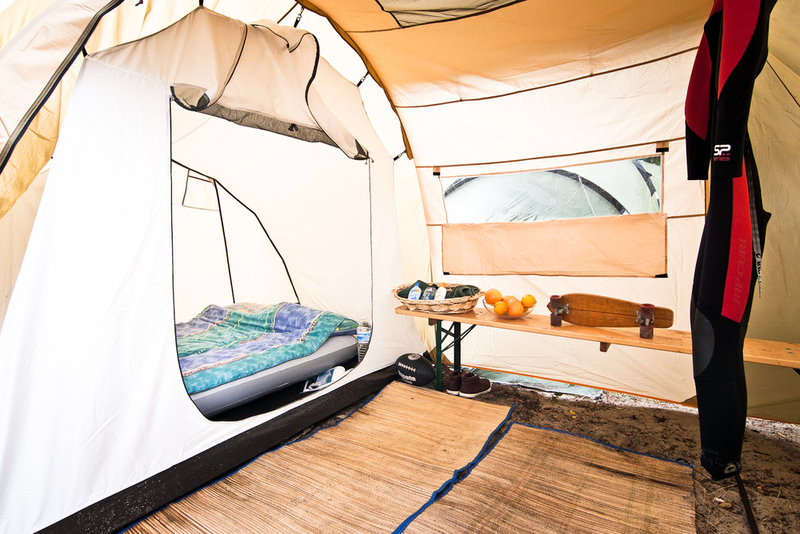 Check out our other surf camp in Carcans which would be perfect for you.